Former state Senator Vincent J. Fumo is back in the news. Fumo, who has kept a low profile since his 2013 release from prison, is the subject of an 8,000-word profile in Philadelphia magazine's December issue. 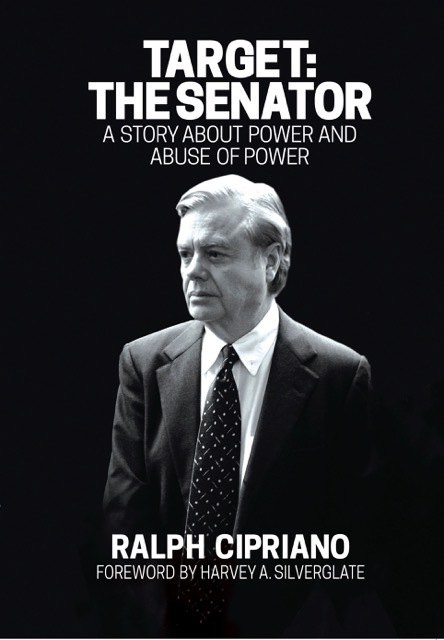 "The Vince of Darkness" is also the subject of a book I've written, Target: The Senator; A Story About Power And Abuse of Power, now available on Kindle on amazon.com, and also for sale as a paperback, with a hard cover on the way. 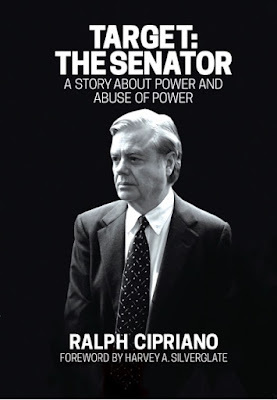 I met Fumo back in 2008, when I covered his corruption trial that ended with him getting convicted on all 137 felony counts. I've been working on the book on and off for the past eight years. I'll say one thing about Fumo as a subject -- he may be the devil to some, a brilliant politician to others, but he's never been boring. The Philly mag story, if you can find it after nearly a hundred pages of ads, makes for an interesting read. A certified mensa master political criminal icon unmasked. When Attorney Jimmy DeMarco passed, Vince lost an important mentor and consiglieri who threw great Xmas Parties. Ralph, just finished reading that great piece in Philly Mag. I hope you are adapting a TV version of your long awaited and surprisingly financed work on the Great Vincenzo. Jon Voight would be perfect to play Vince and the character he plays in Ray Donovan is pure Vince. If Trump had Vince advising him and you collaborating with him, both men will never serve another day in jail.